Choose from 81 hotels and guest houses in Lincolnshire. Shown below a just a selection of the hotels available. To search within an area please use the menu on the right. With free Wi-Fi and parking, this beautiful 1930's Art Deco building has been refurbished to offer AA 5-star accommodation, opposite Lincoln Castle and only a few minutes' walk from the cathedral. With traditional and modern rooms, all are complete with LCD TV, free Wi-Fi, CD player, free local/national telephone calls and drink-making facilities. Charlotte House also has a large period bar and lounge situated on the ground floor. 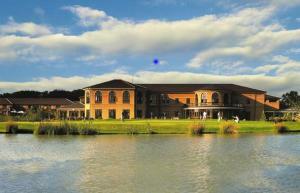 Set in 475 acres of tranquil Lincolnshire countryside, we are a complete health, golf, sports and activities resort. Whilst it offers a perfect retreat, the hotel is conveniently located just minutes from the A1, less than an hour's drive from East Midlands Airport and one hour by rail from London's Kings Cross. Beautifully appointed with all of the facilities you would expect from a premier four star hotel, De Vere Belton Woods represents an exciting new generation of business and leisure venue, where every conceivable need is catered for without you even having to leave the grounds of the hotel. Come in to a warm welcome, from all the staff of Lincoln's leading independent hotel. We will do all we can to make your visit special. 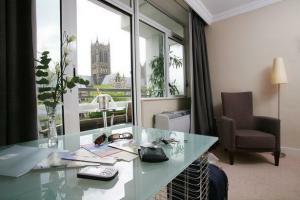 The hotel is located right next to the Cathedral, within the close and offering great views. 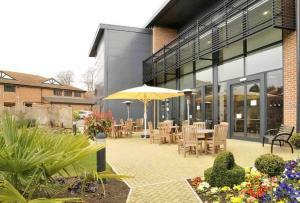 We have a beautiful garden, a large car park as well as a well stocked bar and a restaurant offering fresh local food. We pride ourselves on our family service and look forward to welcoming you to the Lincoln and trust you have a very pleasant stay in our magnificent historic city. Next to Burghley Park and just a few minutes' stroll from the centre of historic Stamford, this family-run hotel offers free Wi-Fi, free parking, elegant rooms and beautiful walled gardens. With parts of the building dating back to the 17th century, the Garden House Hotel is next to the grounds of Burghley House, a magnificent 16th-century country house in Stamford. Stamford itself is a bustling market town, known for over a century as the finest stone town in England. 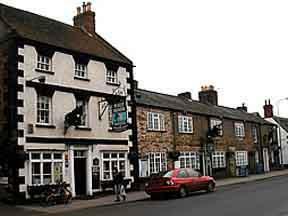 Close to the very heart of this historic town, the hotel is just 400 metres from Stamford Railway Station. Today, the hotel has retained much of its original charm and has 20 well-appointed en suite rooms, all individually decorated and elegantly furnished. The hotel also boasts an acre of walled gardens, a bar, a conservatory and 2 elegant dining rooms offering high-quality cuisine. The menus change constantly to reflect the finest, freshest produce available locally. 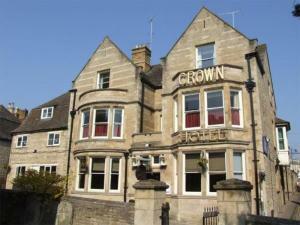 The Crown and Woolpack has low-price rooms in Long Sutton town centre. Hot food is available on request, and there is a pool table and dart board in the bar. The rooms are clean, warm and spacious and have shared bathrooms. With a secure on-site car park, The Crown and Woolpack is ideal for those looking for a budget stay. The town itself has takeaways and shops, as well as pubs and restaurants. Approached via a magnificent avenue of broadleaf trees, this hotel has been created by carefully converting and extending the imposing, Georgian-style Kenwick Hall. 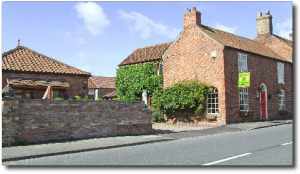 The hotel is situated off the A157, just 5 minutes away from the picturesque market town of Louth, Lincolnshire. The 18-hole Kenwick Park golf course is located within the estate. Enjoy complimentary membership at the excellent Health & Leisure Club, which features a large indoor pool, state-of-the-art gym, squash, tennis and much more. In addition, the hotel has a Clarins Health and Beauty Centre offering a wide range of treatments. In pleasant tranquil surroundings on the outskirts of Skegness, this luxury hotel offers comfortable, well-appointed accommodation in a convenient location, with good access to the area's main roads and Skegness. This landmark hotel is set to change the look, feel and perception of Skegness, placing the emphasis on style, comfort and, above all, relaxation. Whether you are looking for a romantic and relaxing weekend away for 2 or a family holiday, the hotel offers spacious and luxurious accommodation in attractive, peaceful surroundings. All of the hotel's rooms are now completely non-smoking. 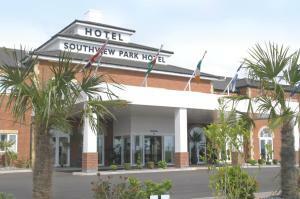 The superior quality accommodation is complemented by superior quality food and facilities. The hotel offers great access to the region's major road network and to the very heart of Skegness, with free parking available for guests' use. Already a favourite with those who know, the Brackenborough Hotel is set in an idyllic location just outside the historic town of Louth in the Lincolnshire Wolds. With 24 individually designed rooms; a distinctive attitude to accessible dining; and a number of stylish event rooms, the Brackenborough, along with the locally acclaimed Bistro Bar, is a flagship hotel. Surrounded by beautiful lawns and gardens, with fabulous views over the surrounding countryside, the Brackenborough provides a fabulous backdrop for a range of events. 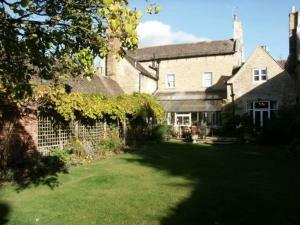 In Ufford, between Peterborough and Stamford, the 4-star White Hart Inn has a micro brewery, log fires and uses food produced at its own farm. Stone built in the traditional way, the White Hart Inn offers an attractive blend of original features and modern comforts and facilities. Enjoy supreme comfort and professional service. Just off the A16 road, with excellent links to junction 14 of the M11 and junction 21 of the M1, the White Hart has a convenient location. Overlooking the sea and its 18-hole golf course, North Shore Hotel is a short walk from Skegness town centre. The Georgian building has en suite rooms, free Wi-Fi internet, and offers good food all day. It is a favourite with golfers and business and leisure visitors. North Shore Hotel can host weddings, conferences and private functions. This former brew-house and converted stable block contains cosy, comfortable and stylish en suite accommodation 20 minutes from Lincoln. The Stables Studio is of a VisitBritain 4-star standard. It has a country-village location with ample off street parking. It is only 3 miles (4.8 km) from charming Woodhall Spa. Delicious full English breakfasts contain Lincolnshire-sourced produce where possible. Eastleigh Hotel is close to the seafront and town centre. The refurbished guest accommodation is opposite the pier and rooms have free Wi-Fi and Freeview TV. It offers a relaxed, carefree stay and has a VisitBritain Families Welcome award, a Gold Food and Hygiene award, and is located within reach of local attractions. Staff are friendly and helpful, and ready to provide everything you need for an enjoyable stay. Each room has bathrobes, toiletries and many other features. Eastleigh Hotel has a free private car park. A complimentary snack bar and a loyalty bar are available from 10:00 to 22:00. 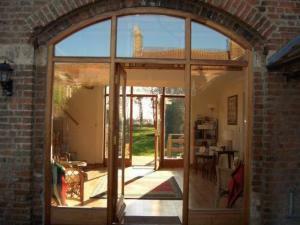 Attractive and relaxing country accommodation. Ideal location for conferences and business meetings. 'The Limes' is a cosy, privately run, three star standard Victorian Country House idyllically set in four acres of tree lined gardens, nestling on the edge of the scenic Wolds. The hotel has all of the light and airiness for which Victorian houses are renowned, the ground floor rooms especially are typical of the period with high ceilings and tall windows, none more so than the Furlong Bar where magnificent sunsets are watched through unusual curved glass windows, giving an additional zest to pre-dinner drinks. In the heart of the fast-developing North Lincolnshire town of Scunthorpe, south of the river Humber, the Wortley House Hotel is a comfortably furnished 3-star hotel. The hotel is within easy reach of the coast; the region's glorious countryside; and a wealth of interesting places to visit. All of the region's major industrial parks are also within easy reach. All of the rooms are well equipped, with all the comforts and facilities you need, including tea/coffee making facilities and TVs with Freeview digital channels. With well-equipped accommodation and a convenient location, the Wortley House Hotel is a good base, whether you are exploring the region as a tourist or visiting the area on business. Please note that in December the hotel hosts Christmas party nights on each night and most rooms will be noisy until at least 01:00. Directly across from the University, and within a 10-minute walk of Lincoln's historic city centre, this brand new, purpose-built hotel offers 118 contemporary-style guestrooms and comprehensive meeting facilities. Ideal for business or leisure, the Holiday Inn Express Lincoln City Centre is set within the primary business district of the city, yet just 20 minutes away from the Cathedral and Castle. The shopping district and waterfront are also within a 10-minute walk. In the evenings, after a long day of meetings or exploring the city sights, you can relax in the bar and coffee lounge, offering a choice of drinks and flat-screen TVs with Sky Sports. The Great Room Lounge also provides a relaxing environment, complete with free Wi-Fi internet access. Fusing 17th century heritage with 21st century hospitality, this stylish boutique hotel is set amid the historic centre of Stamford, less than 5 minutes from the A1. Just 19 km (12 miles) from the Cathedral City of Peterborough, The Crown retains many of its original, traditional features, complemented by the installation of the best contemporary technology. Offering a range of comfortable accommodation, you'll also be able to relax beside the roaring open fires of 2 comfortable, cosy lounges. The bar offers 4 real ales and a wide selection of wines and other beverages. The on site restaurants serve traditional British cuisine alongside European flavours, utilising the best local produce wherever possible. There is even the option of al fresco dining via an attractive, heated patio area. Several modern conference rooms are available to accommodate meetings and other events. Just off the A46, south of the city of Lincoln and with good access to the area's major roads, the hotel offers free parking and comfortable rooms at great-value rates. The Ibis Hotel Lincoln is only 15 minutes' drive from Lincoln Castle, Lincoln Cathedral and the historic Steep Hill district. The hotel also has a great location for visiting Lincoln's famous Christmas Market and the antiques fairs of Swinderby and Newark. 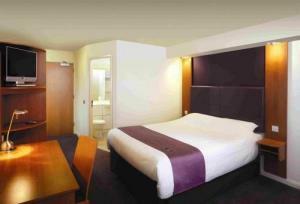 All of the modern and comfortable en suite rooms receive plenty of natural daylight and have large working desks. Each room has a 20-inch flat-screen TV with pay-per-view movies. Wired internet access is available in each room at an additional cost. Wi-Fi wireless internet access is also available. For a small additional charge, guests can use the Total Fitness gym, just a 2-minute walk away, which also has a large swimming pool. The hotel has a restaurant and a bar serving snacks 24 hours a day. A very warm and friendly welcome awaits you at Byards Leap Lodge and Country Kitchen (licensed). Ideally situated for the busissman, tourist, visiting friends/relatives and /or en-route holiday maker. Our recently refurbished Four Star Silver awarded Lodge has the benefit of all rooms are ground floor, all easily accessible for the less able bodied, with one room having dedicated disabled facilities. Four rooms have full sized baths with power showers over and one with a power shower cubicle. With complimentary toiletries. Flat screen digital TVs in all rooms, broadband wirefree access, tea/coffe/hairdryers, mini stocked fridges. Our superking/king/double Slumberland sprung beds are to die for. We are just a couple of minutes by car from the RAF Cranwell College and base. The RAF Heritage centre is a good walk or few minutes by car. Also we are situated on the Viking long distance footpath, ideal for ramblers, walkers and nature lovers. Those wishing to visit our famous City, then this is just a twenty minute drive away and Lincoln has about everything the visitor could wish for! Grantham a mere 10-15 mins by car and Sleaford is just five miles on a very straight road. Newark and the A1 are close at hand(10 miles approx). Next door to the Lodge we have the 'only one of its kind' in the country the newly built Bubble Car Museum, a rare and unusual collection of those cars of yesteryear. The Lodge and our Country Kitchen go hand in hand with the famous legend of Byard's Leap, the horseshoes from Bayard still remain to this day and have attracted many visitors throughout the years. Some with their very own story to tell about the The Witch and Bayard (later shortened to Byard). The Country Kitchen is now 100yrs plus and we have tried to maintain the feel of what it was like in those bygone days. The Half Moon Hotel and Restaurant has been in the same family for nearly 40 years. A listed building with a history going back some 400 years, in a lively social centre. All of the recently refurbished hotel en-suite rooms are non-smoking. Some of the accommodation is on ground floor level, with access for the disabled. The full a la carte restaurant seats 50 people and is non- smoking for the comfort of our guests. A cosmopolitan and varied menu suits all tastes including vegetarians. An extensive wine list compliments the menu and there is also a wide selection of real ales to suit all tastes. We at the Half Moon use the best quality produce available to us. Private functions catered for. In a beautiful secluded setting, in the heart of the city of Lincoln, the hotel has great views over the surrounding parkland to the city. The hotel was originally built as a rectory. Today, its grand Victorian fa?ade conceals comfortable accommodation with great views over the beautiful surroundings to the city. Despite its tranquil, idyllic setting, the hotel is just 7 minutes' walk from Lincoln's cathedral and the very centre of the city. All of the en suite rooms are bright and individually decorated and most of them have views over the parkland of Lincoln Arboretum. Each room is well equipped with all the comforts and facilities you need, including TV and tea/coffee making facilities. A generous full English breakfast is included in the price. With a great location and comfortable accommodation available at good-value rates, the hotel is an excellent base, whatever your reason for visiting Lincoln. Just off the A1 and less than 2 miles (3.2 km) from Grantham Railway Station and the town centre, the hotel offers great value, with free parking and spacious, comfortable and modern rooms. Situated at the junction of the A1 and the A607, the Premier Inn Grantham has a convenient location, with good access to the region's major roads. The hotel has a 24-hour reception desk and some rooms can take 2 adults and up to 2 children (under 16 years). The 2 children also get a free full breakfast when accompanied by an adult eating a full breakfast. An all-you-can-eat buffet breakfast is available each morning and includes the expected cooked items such as scrambled, fried, poached or boiled eggs, and pork or vegetarian sausages. There is also a wide continental selection. The on-site Brewers Fayre restaurant offers traditional, great-value pub favourites in a family-friendly environment. This luxury golf and country club is set within 190 acres of woodland, just off junction 4 of the M180 in North Lincolnshire. The hotel is one of the region's premier hotels, with extensive facilities including luxury en suite bedrooms, an 18-metre swimming pool, a gymnasium, a beauty spa, function rooms and 27 holes of championship golf. Having completed a substantial GBP 10 million investment and refurbishment program, the hotel offers an exceptionally high standard of accommodation and food and beverage options in its premier restaurants. Conveniently located close to motorway networks and within easy reach of Humberside Airport, Forest Pines offers free secure car parking and other benefits including quick and easy check-in, 2 hours' free Wi-Fi per night, high-speed internet access in all bedrooms, public areas and meeting rooms, and free use of the health and leisure club (for residents). 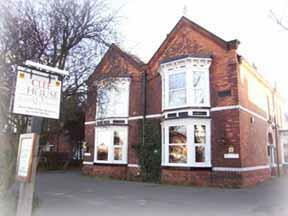 Sherwood Guest House has a prime location on the Cleethorpes seafront, with the beautiful beach just across the road. 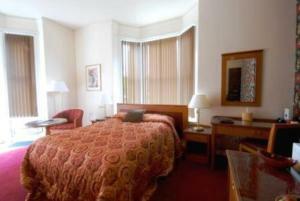 Superb rooms offer quality and comfort to all. A warm friendly welcome awaits you at the Sherwood, in Cleethorpes. Decorated in soft natural tones, the rooms create an atmosphere of peace and calm. The guest house is ideally situated for the ports of Grimsby and Immingham, as well as Humber bank industries. A varied menu is available and special diets are catered for. Elegant yet informal, this 4-star hotel is situated just off the A1, equidistant between Lincoln and Nottingham, near castles and countryside attractions, yet just one hour from London by train. The hotel has the perfect location from which to discover and explore the surrounding countryside, historic buildings and local market towns. It offers superb bedrooms, a spacious lounge, a bar, a traditional restaurant and leisure facilities which invite you to experience both fitness and relaxation. The Leisure Club features an indoor pool, sauna, steam room, solarium and fitness centre. Friendly staff and an open lobby adjacent to a terraced courtyard and lounge area welcome you into this lovely hotel. Rooms feature a minibar, luxury bedding, wireless internet and a spacious work area. Set in its own grounds, this Edwardian property is just a few minutes' walk from the seafront and all that Cleethorpes has to offer. Clee House is a relaxed 2-star hotel with en suite rooms, a small bistro, a characteristic bar and a small function/meeting room. It has been completely refurbished to a high standards. The hotel is ideal for those on business in the Humber Bank or for a weekend in North-East Lincolnshire. Immersed within the peaceful surroundings of the Lincolnshire countryside, this award-winning 4-star guest house is ideally placed for exploring Lincoln, the Wolds, Woodhall Spa and aviation heritage sites. Boasting an East Midlands Enjoy England Gold Excellence Award 2008 as well as a VisitBritain Silver Award, Chaplin House features 3 spacious en suite rooms and a guests' lounge in a stylish barn conversion together with a large, peaceful garden. There is one guest room in the house. Ground-floor rooms are available. Every effort is made to pamper you and make your stay memorable. Most of the produce for the magnificent breakfasts is locally sourced, free-range and organic. The Old Coach house nestles in the centre of the small village of North Kyme. Situated on the main a153 Skegness road. 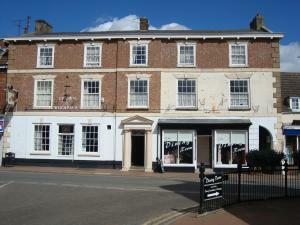 Ideal for business or pleasure, in the heart of Lincolnshire. The Old Coach house Motel offers twelve comfortable en-suite rooms, ideal for business or pleasure. Offering modern amenities with a high standard of service. Part of the building dates back to 1760, built as a stop over for weary travellers making their way from London to Lincoln. The old house has been lovingly refurbished to the highest standard, offering today's travellers a warm and friendly welcome from your hosts Barbara & Martyn Grice. All rooms are centrally heated and offer full en-suite facilities. Being well appointed and comfortable with colour television, tea and coffee welcoming tray and hair dryer; in fact everything you would expect from a 4-diamond highly recommended establishment, awarded by the East of England Tourist Board. Evening meals are usually available by request (pre-booked) with a wide choice of home cooked meals including vegetarian options, which are served in our fully licensed bistro style restaurant. North Kyme is ideally situated between Lincoln and Boston and only twenty minutes from the beautiful town of Woodall Spa, with its world class golf course and famous woodland walks. Built in 1880 and set in 7 acres of well kept gardens, lawns and woodlands, the hotel's idyllic setting provides a perfect backdrop to a truly relaxing holiday or business visit. Ideally situated for the golf course, village and surrounding tourist sights, The Golf Hotel is situated in the heart of Lincolnshire, only 20 miles from Lincoln itself. It is also adjacent to the world famous Woodhall Spa Golf Course, where Jacklin and Cotton learned their craft. Amidst tranquil surroundings, The Golf Hotel is well equipped to host the most important business meetings and seminars, as well as providing the perfect atmosphere for every social occasion. The hotel is non-smoking throughout. Comprising of 3 connecting, Grade II listed, Victorian barn conversions, this charming court provides beautifully appointed and comfortable rooms, within easy reach of some of Lincolnshire's most popular attractions. A charming and peaceful backdrop to any stay, Martin Court features 3 romantic, lantern-lit courtyards, a Koi Carp pond, lawned gardens, a fine dining restaurant and a barbecue area. A duck pond is planned for 2008.